Oftentimes tasks on the internet will be repetitive and similar in nature; whether it’s filling in forms, transferring/copying data, clicking, or performing some other menial task, people often get tired of the repetition. 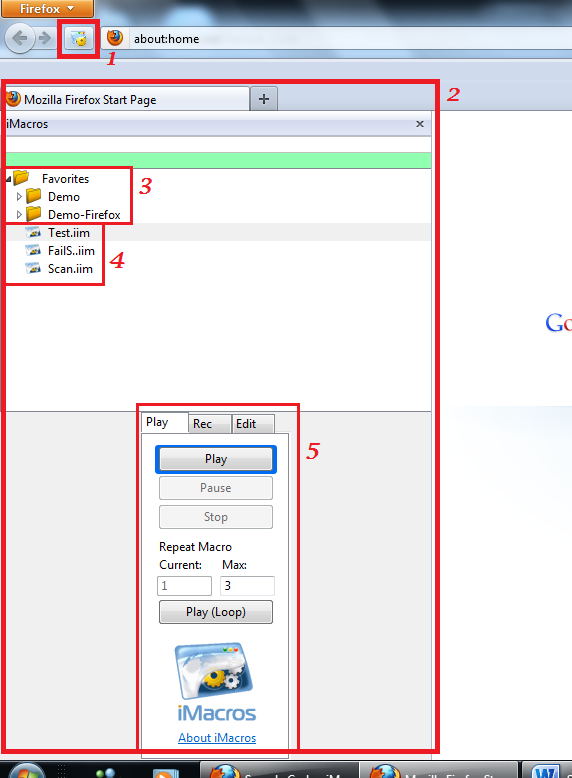 IMacros is a user friendly program that works with Firefox, Chrome, and Internet Explorer. It also runs on multiple platforms such as Windows, Linux and Mac. This program is a browser based recorder that can record/replay actions and also allows you to edit the macros script to perform your own defined functions. 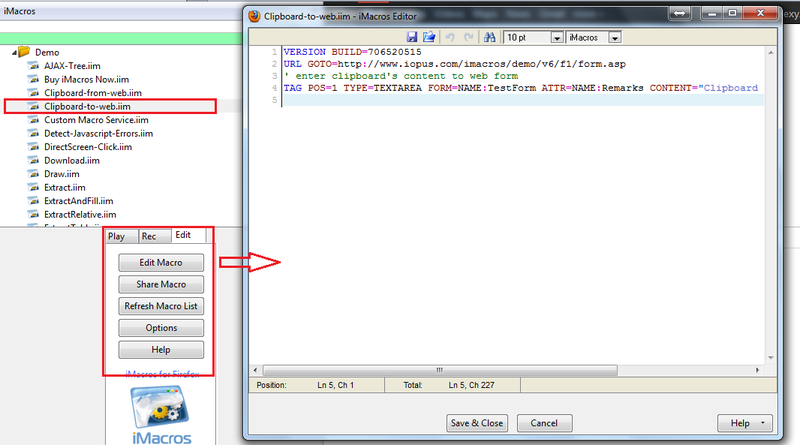 Click here to view an example of iMacros at work extracting data: Extract Data via iMacros (2 MB Downloadable file). What are the different variants of iMacros and what do they cost? For iMacros, there are three different versions: the free edition, the pro edition, and the scripting edition. Most people will generally settle with the free edition because well…its free, but there are some who have advanced iMacros needs and will need an upgraded version. Below are the three different editions with links and prices. Free Edition – This edition is an add-on for Firefox and is completely free. It gives you the basic tools to record online processes, replay the recording, edit the script, and much more. This should be more than sufficient for any personal use. Scripting Edition – This edition offers a bit more user options and is only a fraction of the cost for competing software. This edition allows iMacros to work with Windows Scripting Host, Visual Basic, and more. These features make it simply to have iMacros perform complex automated tasks without any interference from the user. This is the icon to open up iMacros on Firefox. When you click it will open up iMacros on the left side of your web browser. This is the iMacros tray; in here are your various demos, iMacros scripts, and your options. These are your demos. 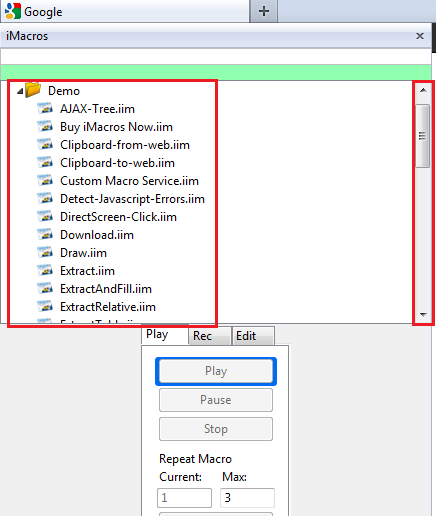 Click here to see a screenshot of the various demos that come with iMacros. These are your actual scripts that you’ve recorded yourself. To play them simply double click or highlight one and then click ‘Play’. This is your options. From here you can Play/Record/ Loop your script for a specified number of times, edit your script, and more. Click here to see what the script editor looks like. The demos that come with your free download will give you an idea on how to properly use iMacros. Once you get more familiar you can edit the scripts, and even create your own.